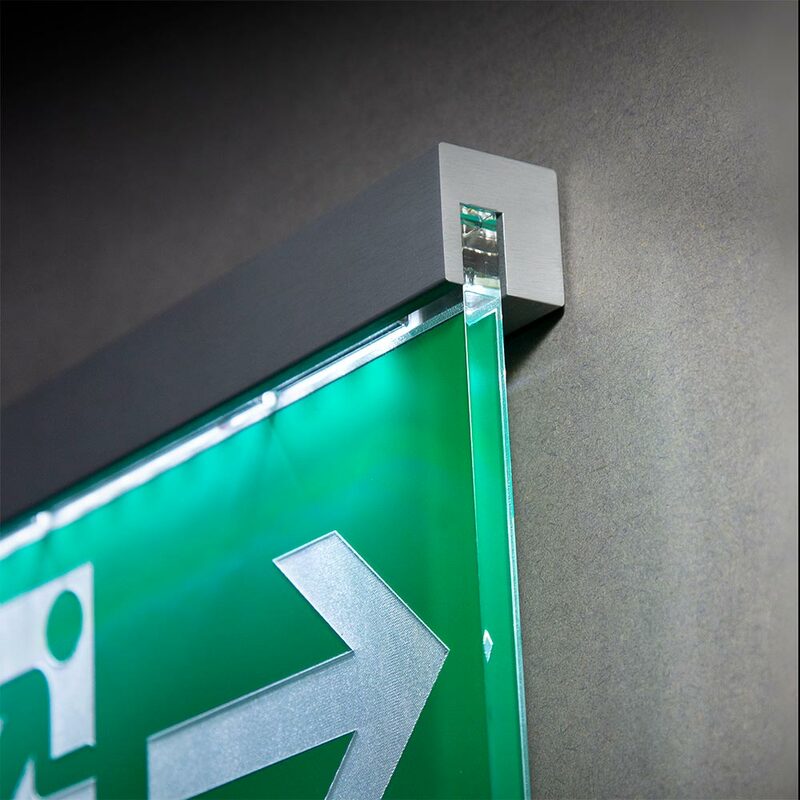 Conforming to ISO standard (soon to be European Norm EN7010), the FE LED Signblock comprises a silver anodised aluminium 25mm square wall or ceiling mounted extrusion, supporting an 8mm thick silica acrylic (glass look) panel with laser engraved and printed graphics. 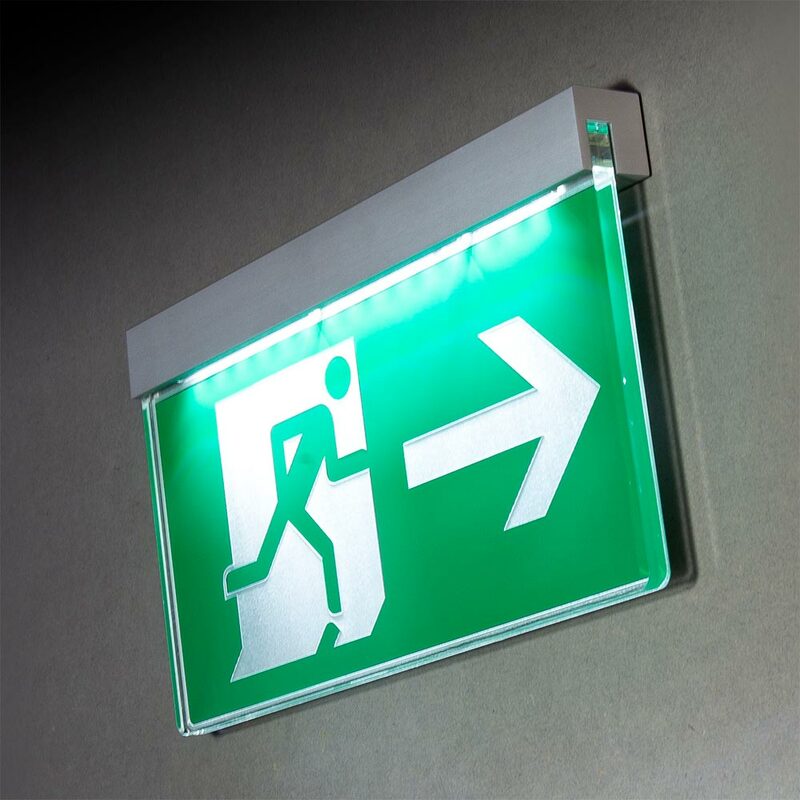 Complete with a minimum 5-hour emergency battery back up and green LED charge indicator. 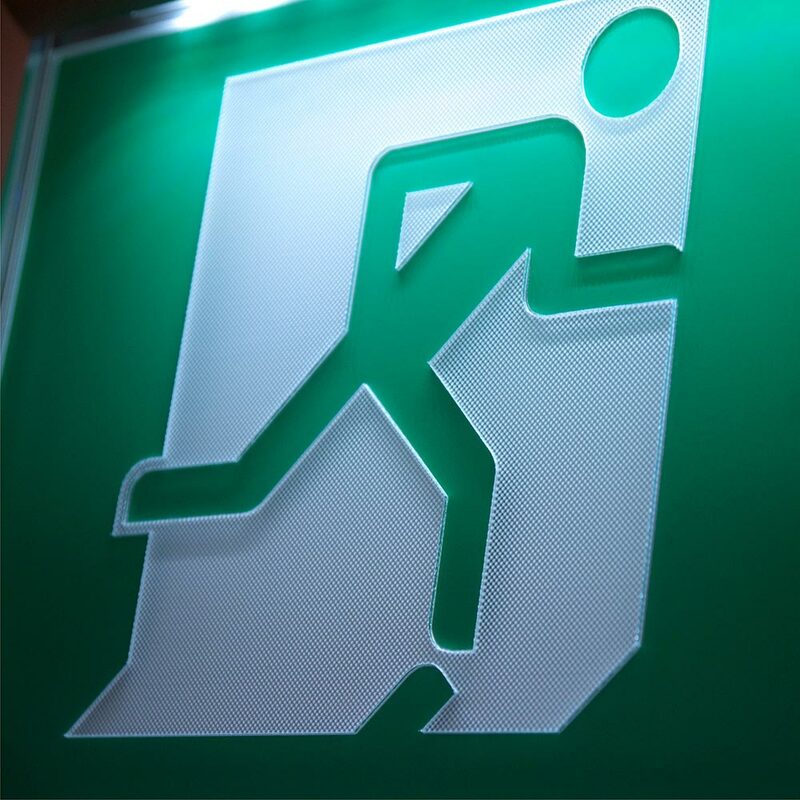 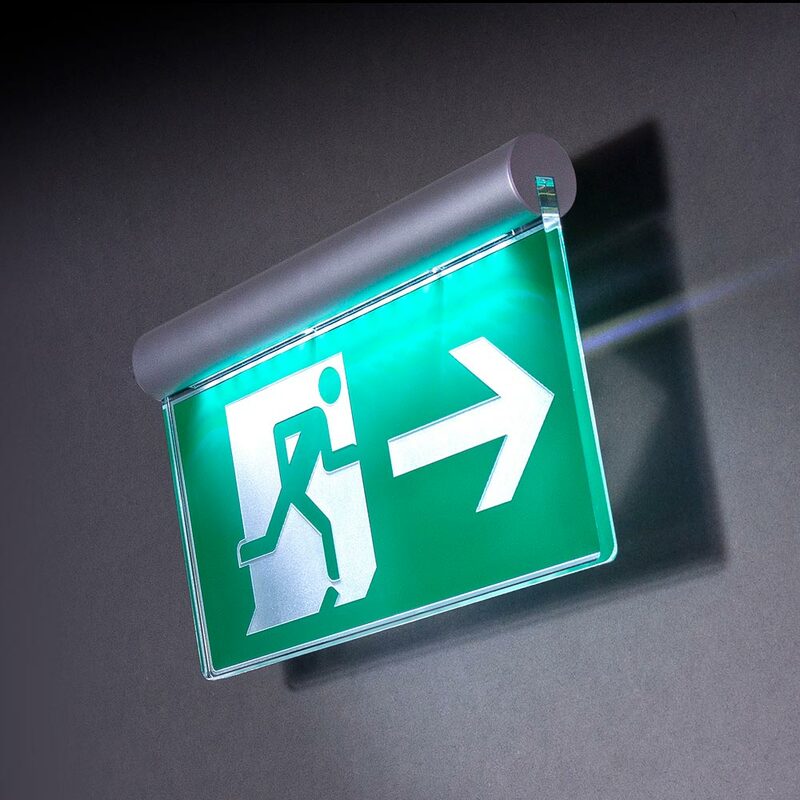 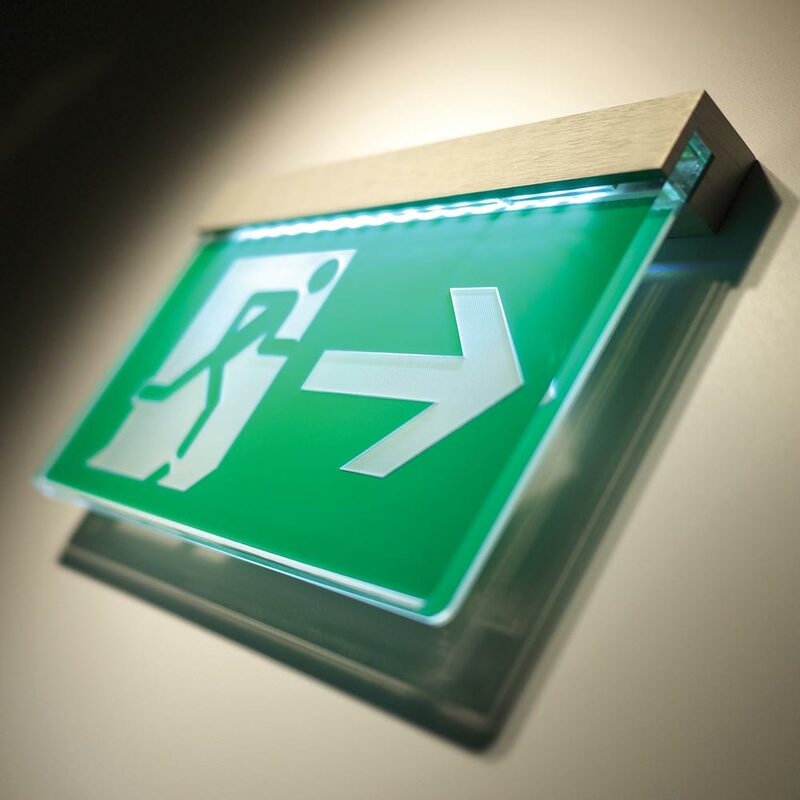 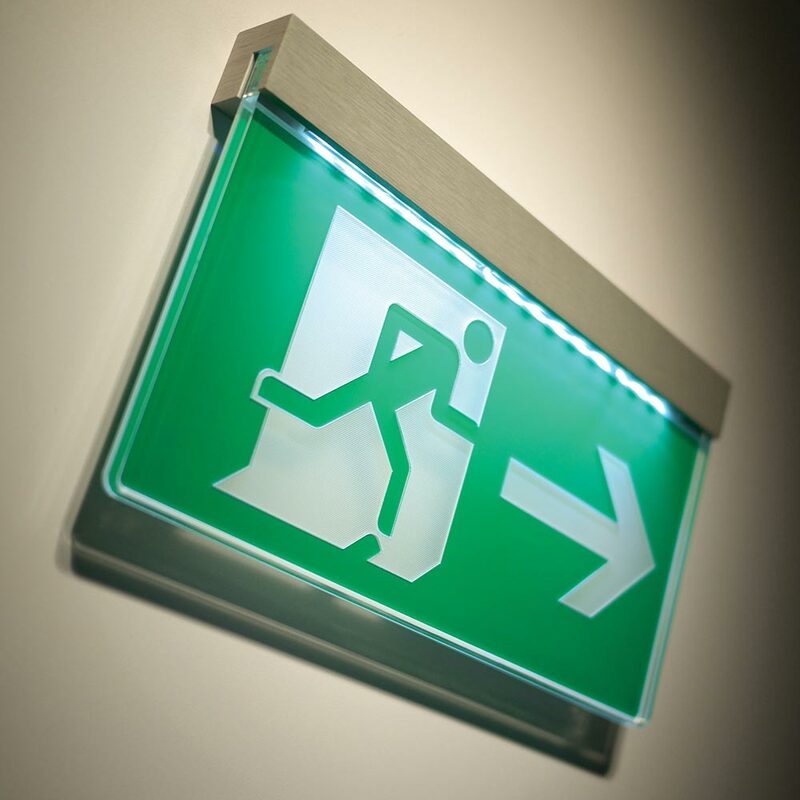 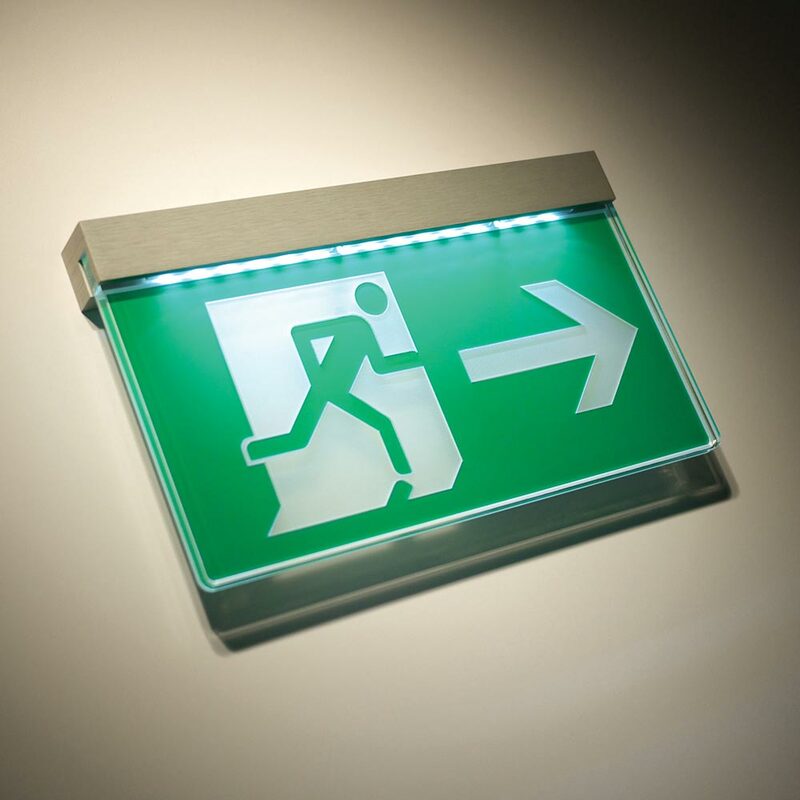 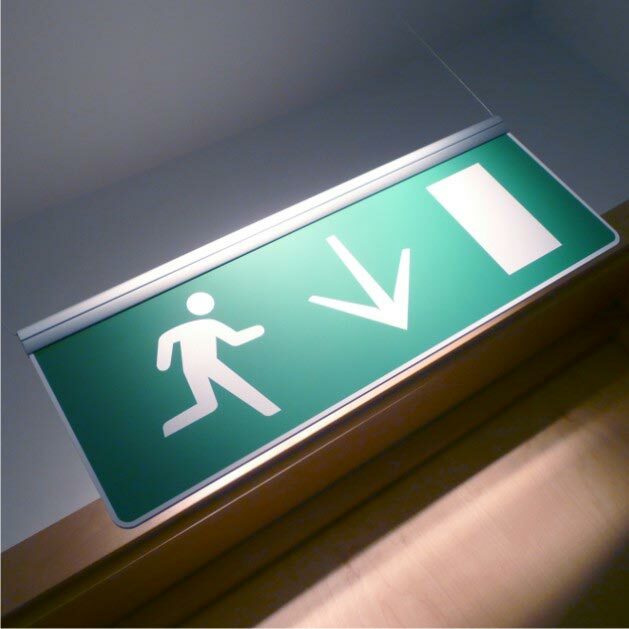 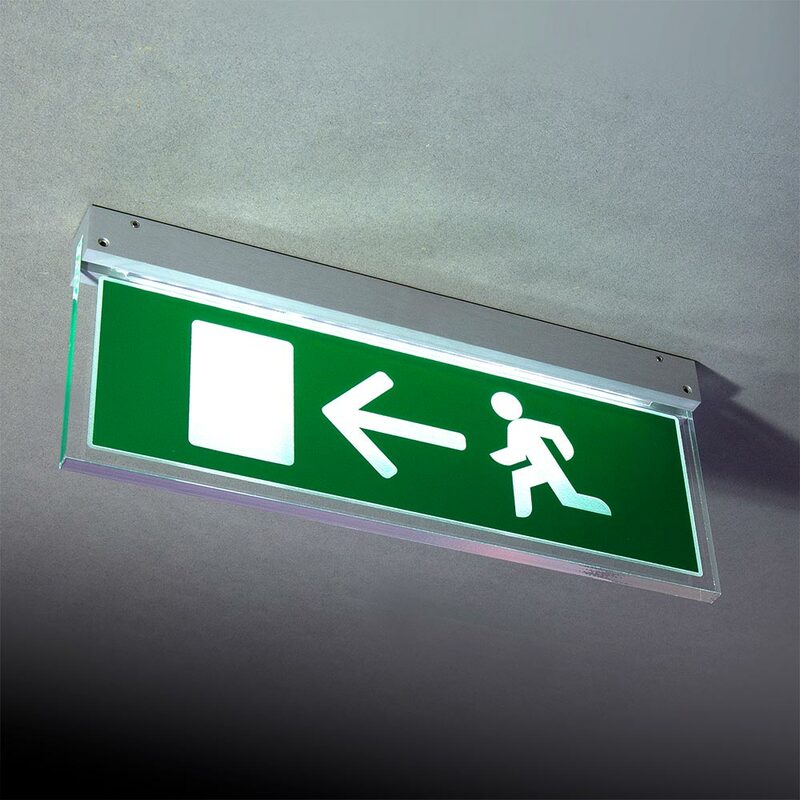 The Signkit FE LED illuminated emergency fire exit sign is available in wall or ceiling mount formats. 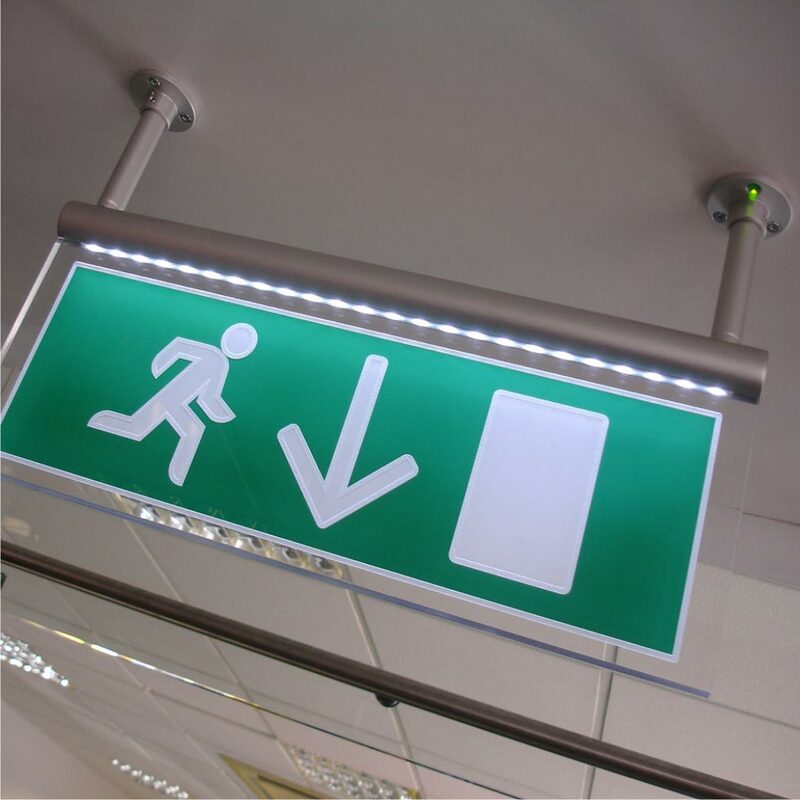 Both offering 'fit and forget' LED technology providing a long lifespan of at least 60,000 hours.